Patrons must present a valid RCPL library card, in good standing, to check out materials. A valid RCPL Library Card in "Good Standing" means no billed items and the patron owes less than $5.00. 3 weeks with 2 renewals, if the book is not on hold. Current magazines cannot be checked out, back issues of magazines can be checked out for 1 week with 2 renewals. 1 week with 2 renewals. 7 days with one renewal. Children under the age of 8 are to be closely accompanied by a parent or caregiver over the age of 16 designated by the parent during the child's entire visit to the library. Children ages 8-12 years of age are not required to be closely supervised during their visits to the library, provided they comply with the Library Code of Conduct Policy. HOWEVER, a parent or caregiver over the age of 16 should either be in the building OR should be able to be reached quickly in the event of an emergency or if the child's behavior becomes disruptive. If a child under the age of 16 is left unattended 15 minutes after closing time, OR if the parent or caregiver cannot be located when needed OR if the staff suspects child neglect or abuse, staff will contact the local police. While waiting for authorities to arrive, two staff members will remain with the child. 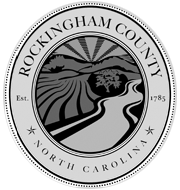 The Rockingham County Public Library believes citizens should have open access to local, national, and international sources of information. The library, by providing access to electronic services via the Internet, recognizes the potential of such services to support education, information, and life-long learning. The goal of providing this access is to promote educational excellence by facilitating resource sharing, innovation, and communication. Use of the Internet computer is on a first-come, first serve basis. Users are required to sign-in at the Circulation Desk. You may also telephone ahead to book a time slot. Computers will be held only 15 minutes past the scheduled time slot. Patrons must present their valid library card in good standing to use the Internet and computers. Patrons may provide a picture ID for the use of the Internet and computers if they do not have their library card with them at the time. They must have a library card on record with the library. Patrons must sign the Internet User Agreement. If patrons owe fines of $5.00 or greater they must pay at least $1.00 to use the internet for an hour of use. The library cardholder who checks out the computer must be the one using the computer. Parental permission is required for children under 16 years of age. Printing is $.25 per page-2 sided documents will be $.50. The public and staff may only use computing resources for legal purposes. The viewing of pornographic images and or web sites is strictly prohibited. VISITORS MUST SHOW A VALID PICTURE ID BEFORE USING THE LIBRARY COMPUTERS AND SIGN THE INTERNET ACCEPTABLE USE GUIDELINES. VISITORS MAY USE THE LIBRARY'S TEMPORARY CARD FOR A PERIOD OF 30 DAYS, AT WHICH TIME THEY MUST SHOW PROOF OF THEIR ADDRESS (MAIL, LETTER, OR A BILL) AND OBTAIN A LIBRARY CAR. We do not monitor or control information accessible through the Internet and do not accept responsibility for its content. We are not responsible for changes in content of the sources to which we link, or for the content of sources accessed through secondary links. Staff cannot control the availability of information links or guarantee bandwidth. As with printed information, not all sources on the Internet provide accurate, complete, or current information. Caution should be exercised in sharing any personal information over the Internet. Parents are encouraged to work closely with their children to insure that they retrieve only materials consistent with their personal and family values. Library staff cannot monitor children's information access on the Internet any more than they can control children's access to books in the library. The intent of the policy is to provide Internet access for our patrons. To this purpose, we may need to limit users access to a one-hour session depending on the demand. If no one is waiting after the first hour the user may continue to use the Internet. After the initial hour, depending upon demand, we reserve the right to request the patron allow others to use the Internet. They may regain access at a later time. When books are returned overdue, a fine of $.10 per day per book will be charged. This fine also applies to magazine, pamphlets, records, books on tape and compact discs. Videos have a fine of $1.00 a day. Patrons with outstanding fines of $5.00 or more are not allowed to check out library materials. Patrons with overdue materials will be notified by mail or e-mail after materials are 7 days overdue. These patrons will be blocked from checking out additional materials. Customers are required to pay for damaged and lost library materials. Patrons may replace items they have lost or damaged with an exact duplicate (former and title) in lieu of payment for material. Replacement must be new. Audio Books may not be replaced. When a customer pays for a damaged item the customer then owns the item and may keep it. The found items is returned in sound condition and can be returned to the library's collection. No refunds will be given for items, which cannot be returned to the collection. The found item is returned to the library in no more than 30 calendar days after the customer paid for the item. Items found and returned after 30 calendar days will not be eligible for a refund and become the property of the customer. The customer must present the original receipt showing that he/she paid for the item when it was assumed to be lost. No refunds will be given without the original receipt. 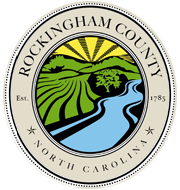 The customer's refund, less the $5.00 restocking fee, will be mailed by Rockingham County. Patrons may make a "claims returned" statement when they feel confident they returned library materials but the materials cannot be found on the library shelves. A patron may "claims return" a maximum of 5 items. Filing a "Claims Returned" request will waive all overdue fines or bills owed for those items; unless the patron files the claim after the item has been sent to collections. In this case the patron will still be responsible for the service charge instigated by the collection agency. Both the patron and library staff should diligently search the respective premises prior to the claim being entered into the patron's record. If, after the claim has been recorded on the patron's record, the library finds the materials, the claims returned details are removed from the patron's record; however the number of items claimed remains.